Welcome. My name is Amanda. I found myself suddenly uprooted and moving to Texas late in 2008. I started this blog to keep in touch with family and friends all over. 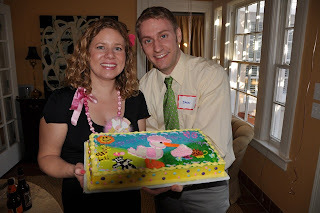 This past weekend Jason and I attended not one, but two baby showers. The first was a co-ed shower hosted by our friends Troy and Jaime. All of our San Antonio friends came to celebrate with us. We can't believe we managed to make so many wonderful friends in the past year. 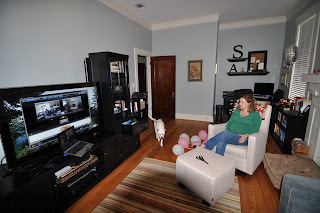 The second shower was a webcam shower thrown by Jason's family. I was video conferenced to the shower in Illinois over Skype. We have a big pile of baby stuff, and dozens of cute little girl outfits. Now we just need the baby. 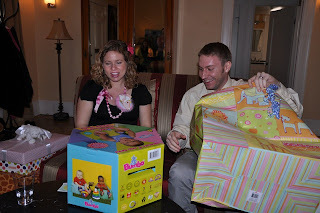 Thank you everyone for celebrating this exciting time with us and for helping us prepare for the little one!